I’m going to start a promotion Friday that will run through next Tuesday. You’ll be able to download the Kindle version of the book for free during that time period. The promo should go live around midnight Pacific time Thursday and will end around midnight Tuesday. Whether you take advantage of that offer or choose to buy a copy of the book, I appreciate your review at Amazon. If you’ve already paid for a copy of the Kindle version of the book and would like a refund or some swag (t-shirts, mugs, and other goodies are in the works), please let me know. 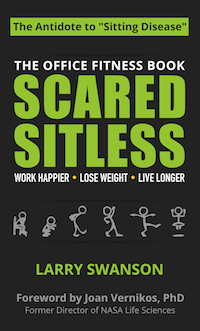 “Scared Sitless: The Office Fitness Book” is now available for pre-order at Amazon, shipping September 29 and priced at $5.99 for the Kindle version (print version coming in October). Save the Children has helped 143 million children in 120 countries around the world. 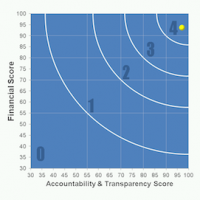 Their mission is to “give children a healthy start, the opportunity to learn and protection from harm.” They have earned the highest possible rating from Charity Navigator, Charity Watch, the BBB, and similar rating organizations. The sedentariness that is so troublesome for office workers is fast becoming a problem among children, as recess periods and physical education classes disappear and computer-game consoles replace outdoor play. I had hoped to find a suitable charity that specifically focuses on helping children become more active, but as I researched different charities, Save the Children kept coming up as the best general children’s health-promotion organization. I’m happy to support them. “Scared Sitless” sets out the current research on “sitting disease” and other surprising hazards of office work and gives you an evidence-based action plan to address them and improve your office fitness. I hope you’ll pre-order your copy today. Thanks in advance for your support. *The fine print: I’ll donate $1.00 for each sale that actually results in a royalty for me, no matter how small. The Kindle Unlimited program divvies up a pool of money each month, so I have no idea how much I might make for each sale; if it’s less than $1.00, I’ll happily make up the difference, up to $500.00 out of my own pocket. As soon as pre-sales are finalized, I’ll write the check to Save the Children. UPDATE 3/4/14 – a number of developments, all of them positive (well, except for that week-long cold), have conspired to 1) improve the book and 2) push back the publication date. I am in the home stretch now on the writing of “Scared Sitless: The Office Fitness Book,” polishing and editing the final manuscript chapter by chapter. The Prologue, Introduction, and Chapter 1: The Hazards of Office Work are ready to go to the copy editor, and I’m on a schedule that should have me uploading the book to the Kindle store around mid-February. I apologize for not blogging more and sharing more info on my social media accounts. I’m still doing a lot of massage and am almost literally going non-stop the rest of each day to get the book done. That leaves little time for “extra” writing. This is killing me, because there are so many helpful tidbits to share, but I’m committed above all to finishing up the book. Look for a flood of blog posts after “Scared Sitless” is published. We have a winner! I spent a crazy weekend evaluating more than 200 submissions from designers around the world. Here’s the winner. What do you think? According to Scrivener, the nifty book-writing software I’m using, as of this morning I have written about 42,000 words for my office fitness book manuscript (that’s a screen capture of Scrivener’s current word count above). I’m guessing that about 15% of these words are notes to myself and other meta-info that won’t actually make it into the final manuscript. Assuming that that trend holds and that I am indeed about 60-70% done with the first draft, as I think, then we’re looking at a book in the 50,000- to 60,000-word range, about what I was projecting when I started writing in earnest about 6 months ago. Introduction with chapters that set out the rationale for the book and show how to develop good habits. Physical fitness in the office: the importance of working routine movement into your work day, cultivating good posture, learning guerrilla ergonomics self-assessment skills, and exercise regimens to counteract office-work patterns. Self-care for office workers: nutrition, stress management, sleep hygiene, vision, and other self-care topics. I’ve been making steady progress all along, but my productivity really took off when I adopted Jerry Senfield’s “don’t break the chain” methodology. Basically, you set a daily goal and then track it and never break it. Seinfeld used a red marker on a paper calendar to track his chain. I use an app called Obstino, which lets you get the same kinesthetic satisfaction as writing on a calendar by sliding your finger across your iPhone screen (this interace was a surprisingly big hit when I demoed the app at the Seattle Quantified Self meetup recently). I learned about not breaking the chain over the long July 4th weekend and have written at least 500 words every morning every work day ever since. I’m up over 40 work days now with a nice satisfying X marked on my iPhone. If I keep this up, I should have a first-draft manuscript well before Thanksgiving and a book in hand by early next year. 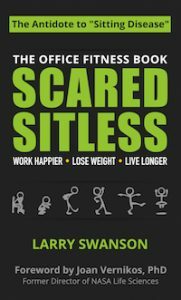 Scared Sitless: The Office Fitness Book is available now at Amazon. Ask your local bookstore to stock it, too. It’s available to the trade through Ingram.